Proper milling is one of the most important steps in building beautiful works of wood, but getting your wood to the exact thickness can be a time consuming, tedious task. 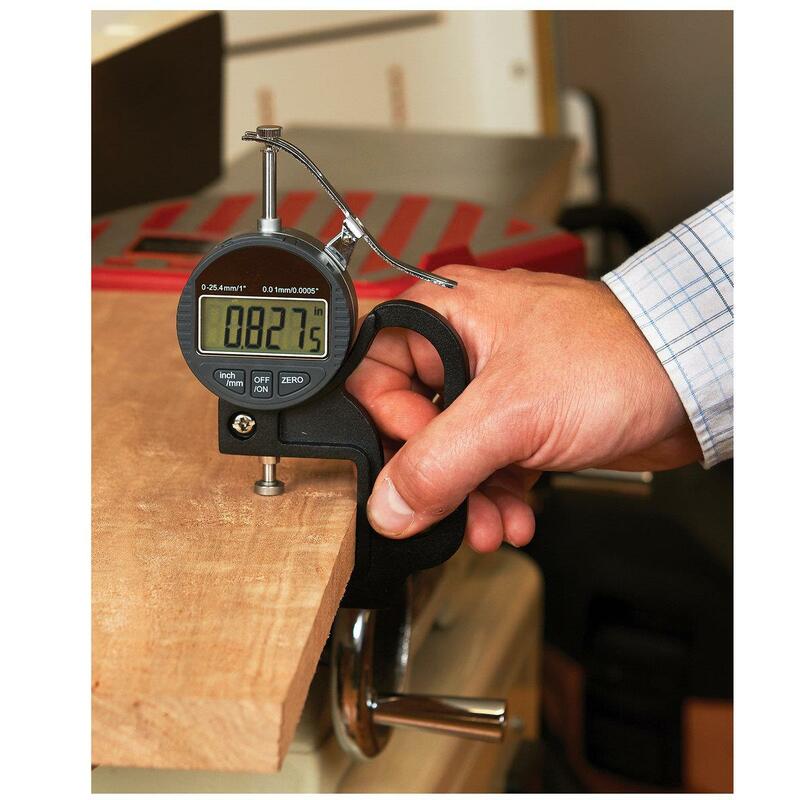 Our WoodRiver® Digital Thickness Gauge not only cuts your milling time down, but it will also ensure that your wood thickness is exact. Most other thickness gauges only go to 13mm, but the WoodRiver gauge goes to a full 25.4mm, which is perfect for boards thicker than 13mm. Unlike other gauges, the resolution on the WoodRiver gauge is phenomenal, reading out to 0.001mm/ 0.00005". The digital screen readout is 20mm x 40mm and can be switched from decimal to fraction to metric with the push of a button. 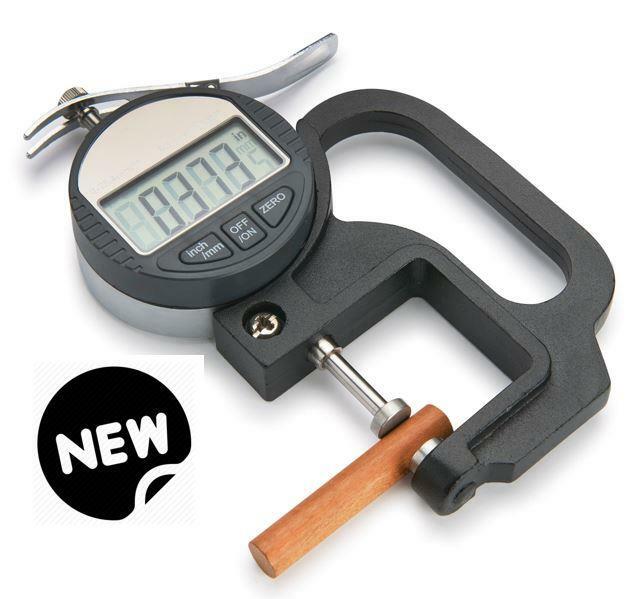 With the WoodRiver Thickness Gauge there is no need to lock in the lever, just slide the wood onto the measuring surface and run it down the board.